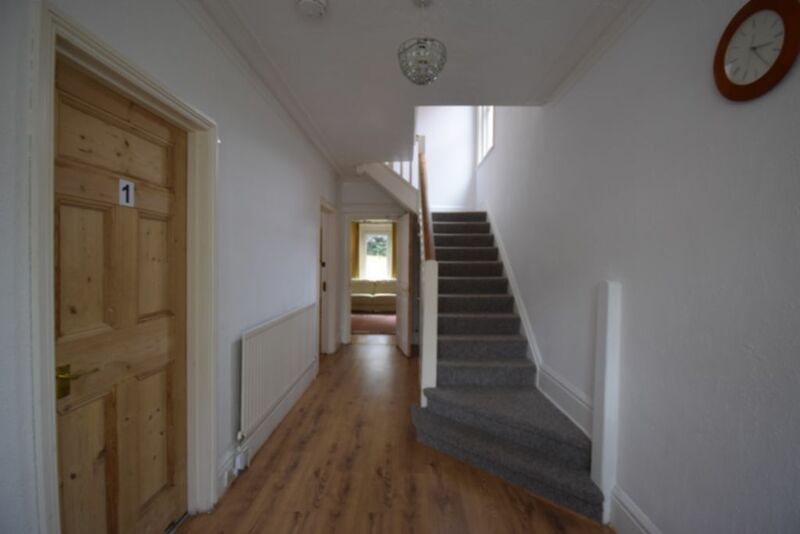 **ONE DOUBLE ROOM AVAILABLE @£367pcm** Six double-bedroom house located in popular location of Charminster. 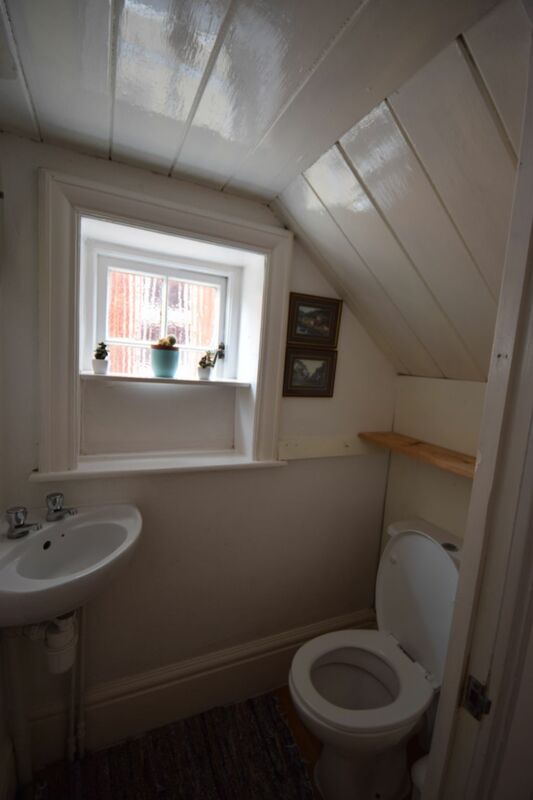 Two bathrooms, one with shower, one with bath. Great communal spaces. 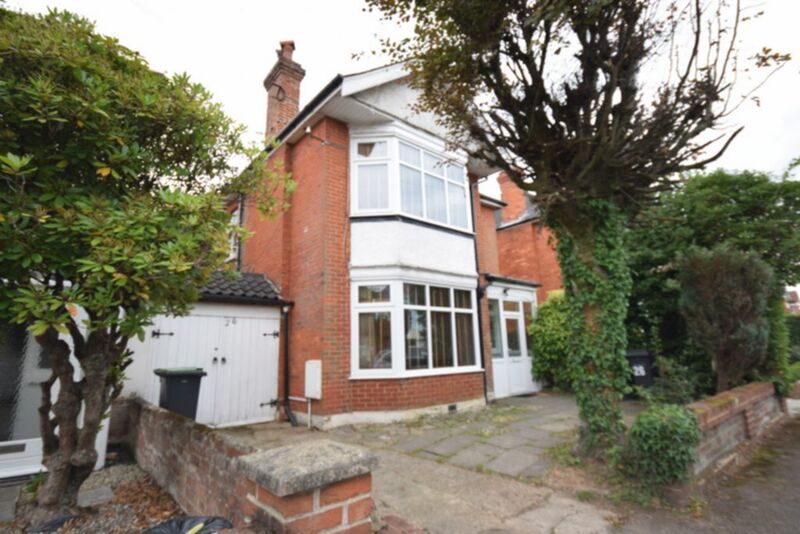 House is near shops, restaurants, bars and close to local bus route. 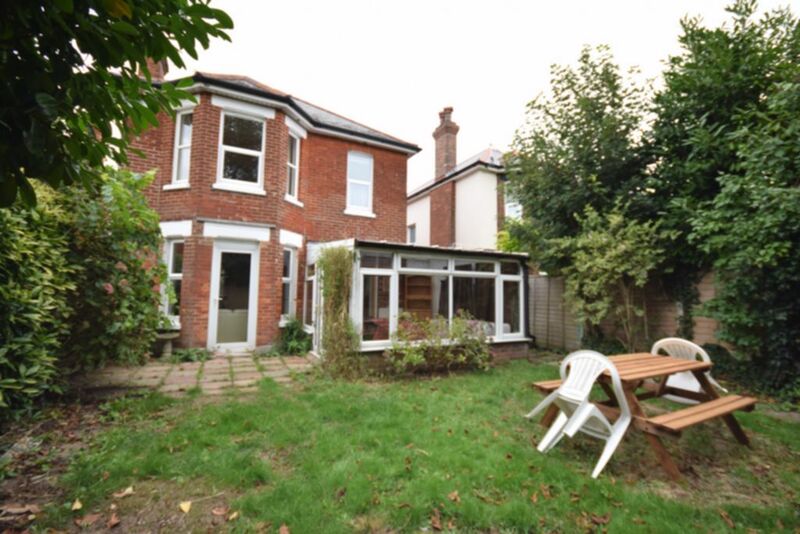 Detached property with bay window frontage, porch, paved driveway providing off road parking. Rear garden laid mainly to lawn with paved area. Garden picnic bench and chairs. 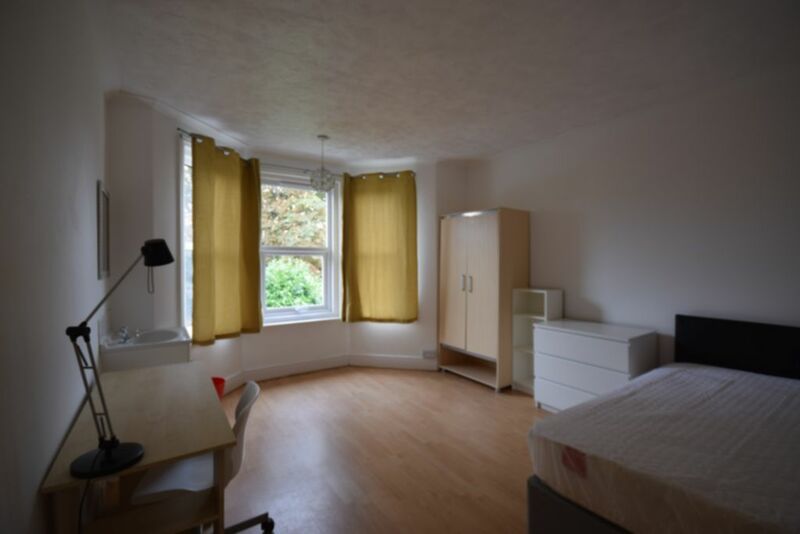 approx 3.6m x 3.3m - Ground Floor, large bay window - Double Bed, wardrobe, chest of drawers, shelf unit, sofa, desk and chair. 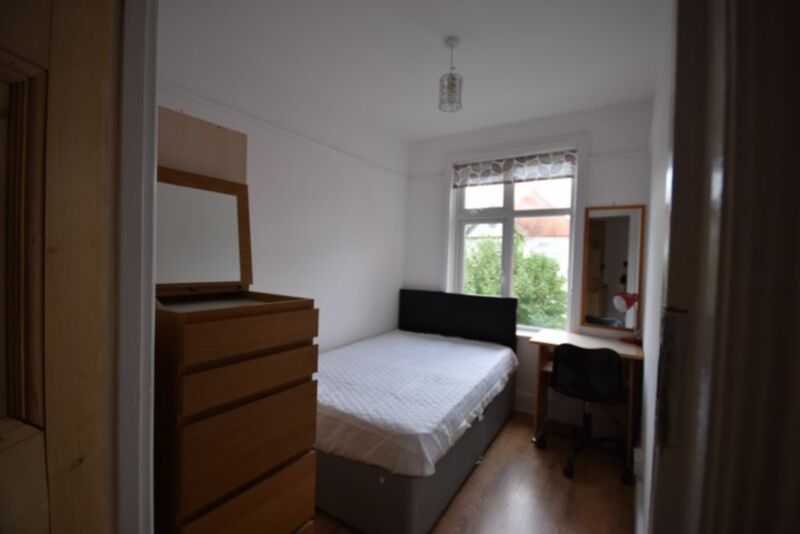 approx 3.6m x 2.7m - Ground Floor - Double Bed with wardrobe, chest of drawers, desk and chair. 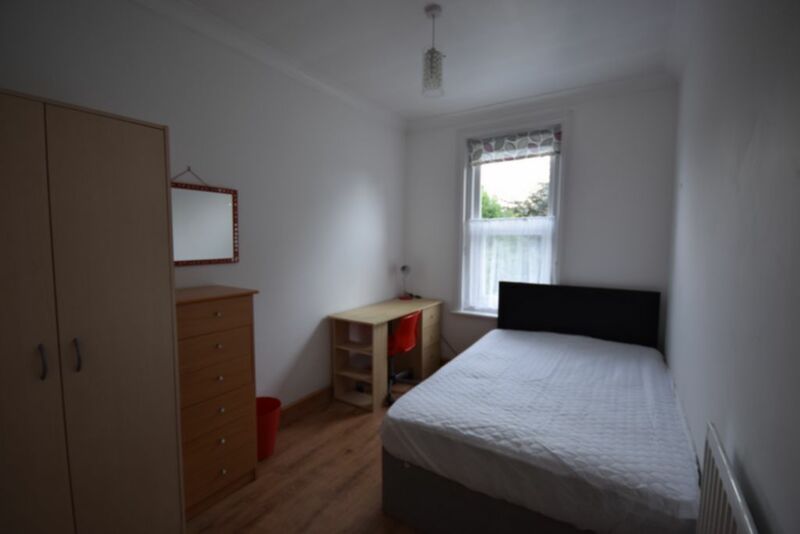 approx 3m x 2.1m - First Floor - Double Bed with wardrobe, chest of drawers, desk and chair. 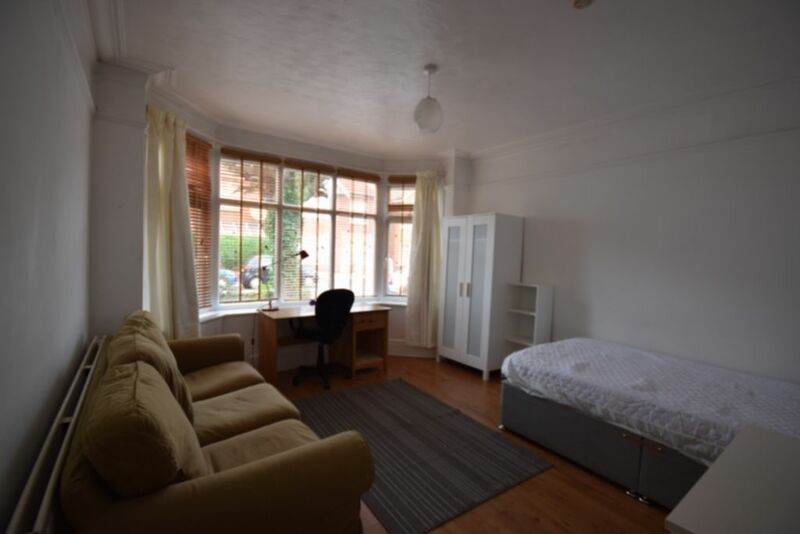 approx 3.6m x 3.6m - First Floor with large bay window - Double Bed with wardrobe, chest of drawers, shelf unit, armchair, desk and chair. Room has an Ensuite shower unit. 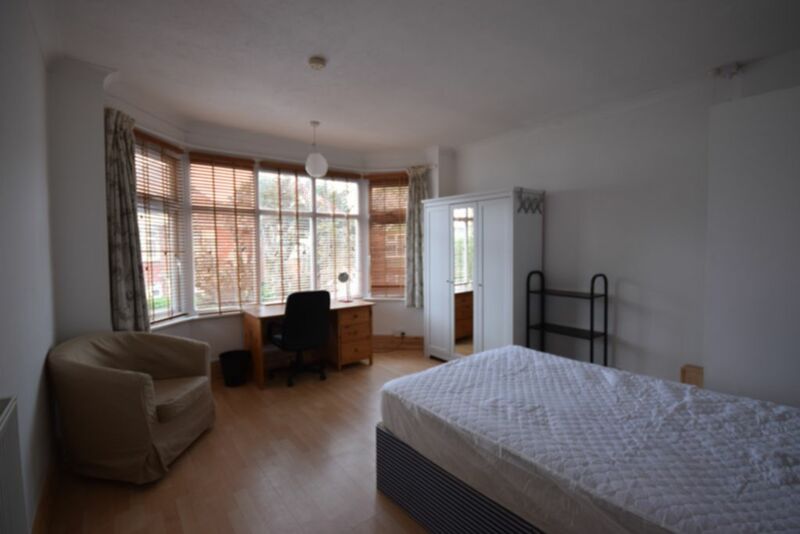 approx 2.4m x 3.3m - First Floor - Double Bed with wardrobe, chest of drawers, desk and chair. 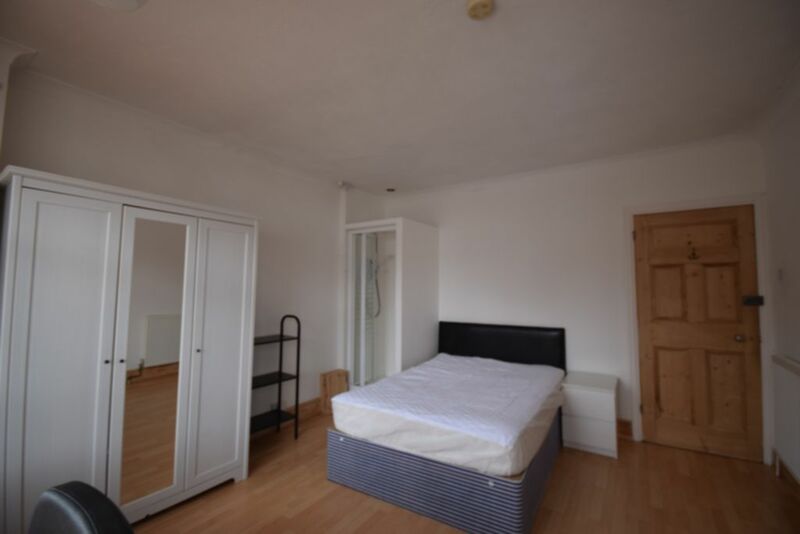 approx 3.6m x 3.6m - First Floor - Double Bed with wardrobe, chest of drawers, shelf unit, desk and chair. 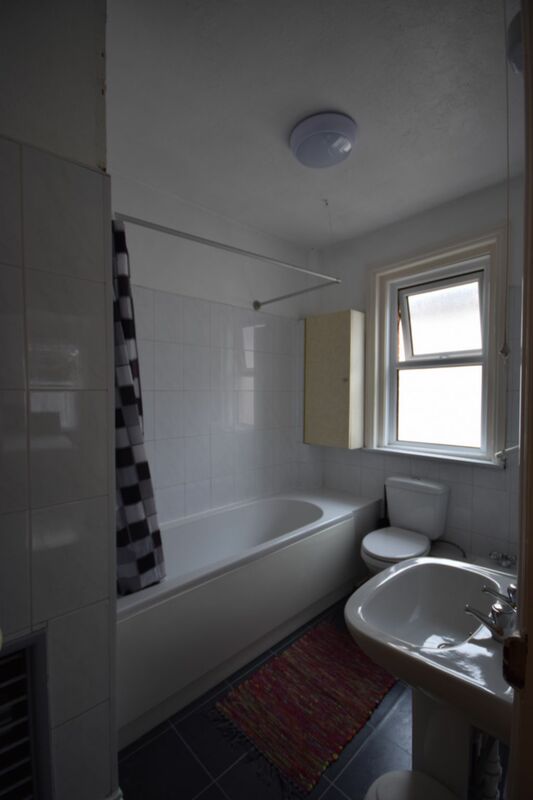 Room includes wash hand basin. Bathroom with white bathroom suite comprising bath with shower over. Wash hand basin and WC. Three-seater sofa, sideboard, coffee table. 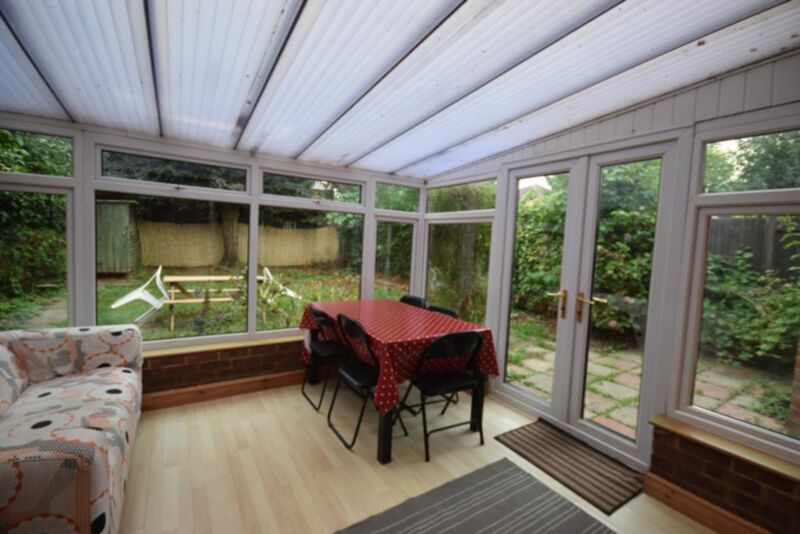 Includes dining table and 4 chairs. 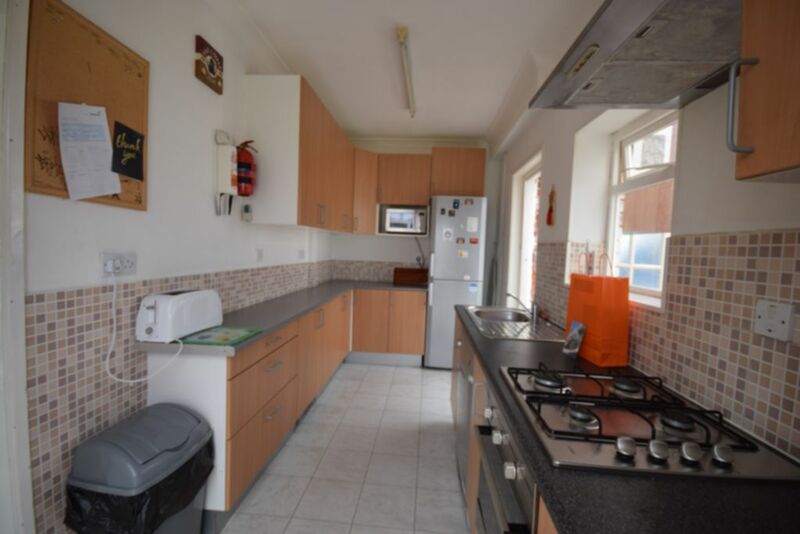 Kitchen comprising matching modern wall and base units, electric oven, gas hob, microwave and fridge/freezer. 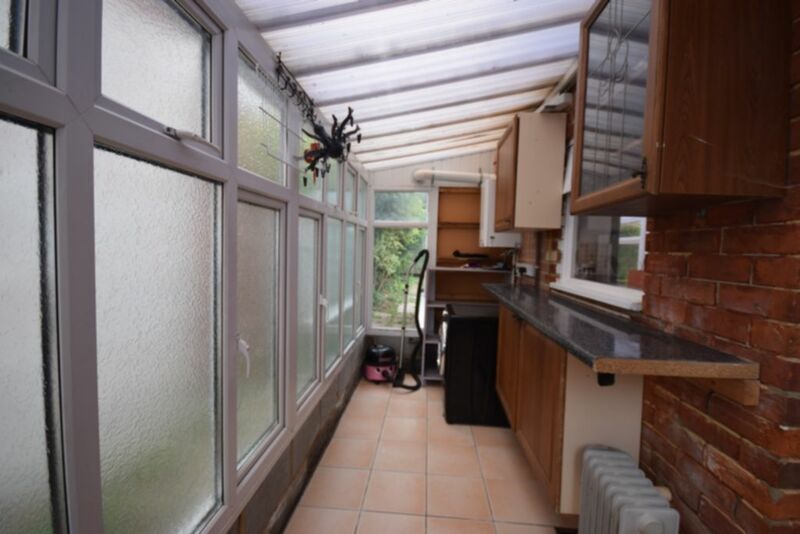 Door leading to utility room, and another to conservatory. Door leading from kitchen. 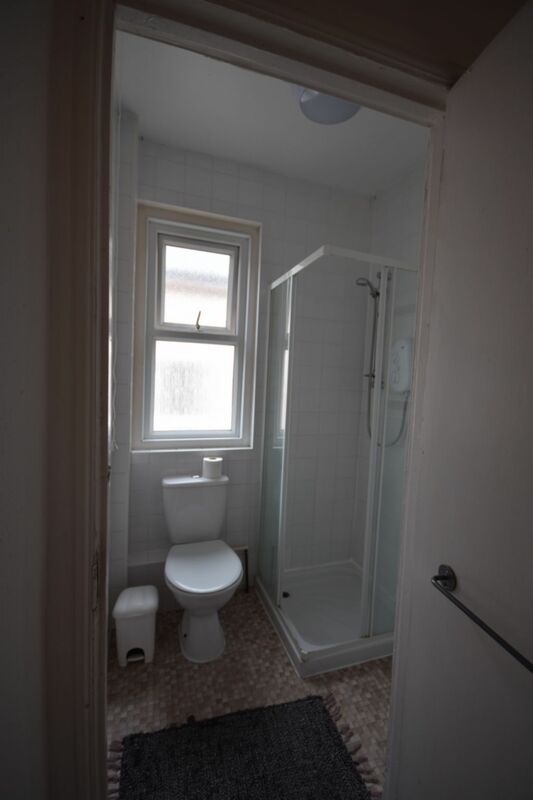 Separate utility room with washing machine and some fitted cupboards. Double-glazed and suitable space for drying clothes. Back door leading to rear of property. 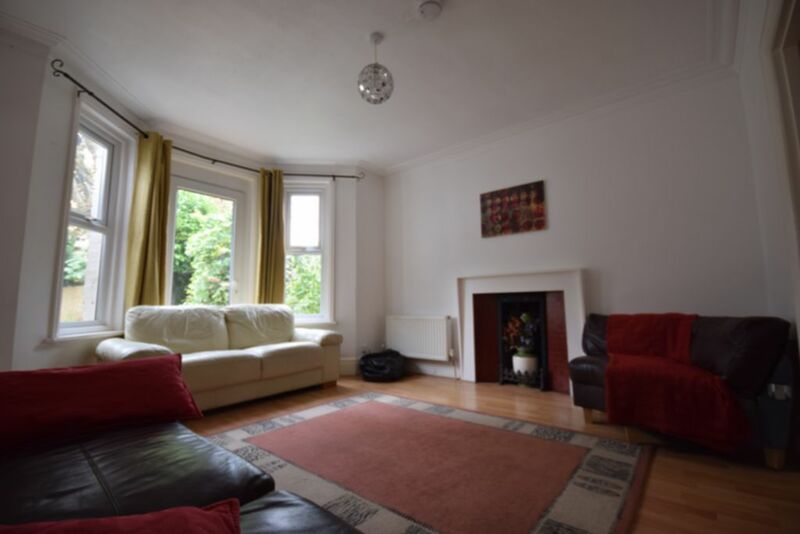 Large lounge area with bay window and period fireplace feature. 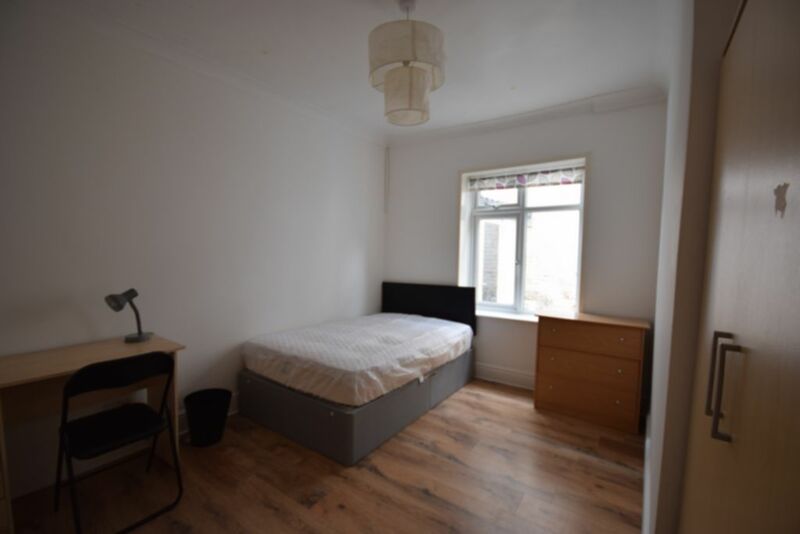 Two sofas and a corner chair providing easy seating for six.